Jill was diagnosed with LPLD aged two and has learned to live with the condition after many years of trying. She has three children. In 2012 she set up the LPLD community on RareConnect. She qualified as a counsellor in 1994 and has worked for a variety of charities in a project management and support capacity. Her most recent role was regional support specialist for a national brain tumour charity covering the London and the South East area. 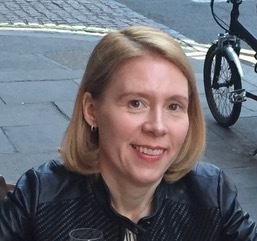 She is a Fellow of the European Patients Academy on Therapeutic Innovation (EUPATI) having successfully completed its course on the medicines research and development process, and is a trustee of LDUK, a charity for people who have lipodystrophy. Pat was diagnosed with LPLD in her late teens after suffering from the condition since birth with frequent bouts of pancreatitis. Three children and many years later she manages to stay largely symptom free, but not without the daily struggle with the diet. Pat retired in 2015 following a career as a qualified company secretary providing professional advice and support to many boards of directors and their committees, largely in the financial sector. Krish was diagnosed with LPLD at birth and has struggled to manage her condition. She has had recurrent hospital admissions. Through the support of her family and her doctors, she is now a qualified GP and uses her own experiences as a patient to empathise with her patients and provide support for them through their hardships. Rebecca has been a research scientist in the field of molecular biology for over nine years. She is also the Chair of LDUK a charity for people who have Lipodystrophy, and is involved in various activities related to patient advocacy, education and awareness. Lucia is a documentary film maker and camerawoman and has spent over 15 years in television news, including time spent working in ITN’s Health Bureau. She also has a small production company Lapwing Films which makes films for charities and NGO’s. Recently Lucia has worked with Oxfam, Shelter and SeeAbility. She has often filmed in hospitals working with patients to tell their stories. A former University Lecturer, Helen Aderin is a Counsellor, Supervisor and Trainer. Since setting up a counselling service for adults with learning difficulties in the 1990’s she has served as a director on a number of boards including property companies and a charity. Catherine was diagnosed with LPLD at birth and has followed a strict, sub-10g diet since then. She has led a healthy life, including a long period abroad, helped by strong family support. A career in finance has played an important role in her life and has led her to travel extensively, finding the dietary restrictions at times challenging. She is particularly interested in the psychological repercussions of the condition and in helping others deal with the frustrations it inevitably entails.